Locals and visitors alike may be spending more time on our namesake mountain this summer, thanks to the addition by Crested Butte Mountain Resort (CBMR) of several mountain biking trails, a “back nine” to the disc golf course, and a concert venue. CBMR will also be putting in the foundation for the new Red Lady Lodge, as well as hosting a constant stream of tours, conferences and special events. Of course, for any of the new features to actually get installed, “The snow needs to melt first,” says CBMR director of operations Ethan Mueller. “There’s hope. We’re starting to see brown spots,” he adds. CBMR vice president and chief marketing officer Ken Stone says some of the new features were approved last fall by the U.S. Forest Service as part of the Main Mountain Improvements Plan, which includes improvements for both summer and winter seasons. “Joined at the hip,” with that plan, he says, is a master summer trail map. Altogether, the mountain improvements plan calls for 15 new trail segments, of varying lengths, uses, and difficulties. Two of the proposed trails are special 40-inch-wide “single track” for adaptive hand cycles. Mueller says the downhill mountain biking trail may not be ready until the very end of the season, due to the extra labor and dirt work involved in building this type of mountain bike path, which typically includes large banked turns and jumps. “We also need to make sure there’s appropriate drainage. These downhill trails are near-vertical, so the big concern is erosion,” Mueller says. He adds that even with the scope of trail work already approved in the Mountain Improvements Plan, Forest Service officials must still inspect the course layout and construction for each new trail. To get the trails up and running faster, Mueller hopes groups like the Crested Butte Mountain Bike Association and other local bike enthusiasts will come out for trail-building workdays. Finally, while it may or may not happen this summer, Mueller says plans are in the works for a mountain biking dual slalom course and dirt jump/pump track on CBMR property near the base area. Crested Butte Academy mountain bike instructors Kain Leonard and Christian Robertson are working on the proposal for the slalom course and pump track. For those into the growing sport of disc golf, CBMR is also going to add another nine holes to the Ten-Three@CB disc golf course, which starts near the top of the Red Lady Express. Stone says CBMR is teaming up with local disc golf enthusiast Chris Brown to design the new course, and has been working with the Forest Service to get the final layout approved. Stone says they will also be adding a disc golf putting green at the base area, which should interest kids and new players. Stone hopes the full 18-basket disc golf course will be home to some new tournaments and events. The base area will be home to a new outdoor stage facing the lawn in front of the Red Lady Express this summer, and possibly a small skate park at some point later, Stone says. The resort is also currently preparing the site for the Red Lady Lodge, a new on-mountain dining facility at the top of the Red Lady Express lift. Outgoing CBMR general manger Randy Barrett says shovels will be hitting the dirt soon. “We’re planning on getting the foundation in and capping it this summer, then starting vertical construction next spring,” he says. About 7,000 square feet of storage space has been scrapped from the original plans. “The facility has downsized, so our construction schedule has shortened,” Barrett says. Barrett doesn’t believe the disc golf course will be closed for the construction of the Red Lady Lodge, but one or two mountain biking trails might have to close temporarily. “We’ll just have to be sure no bikes are on the roads being used. There might be a certain time of day, where due to the construction, something might be coming up,” Barrett says. Stone says the new Conference Center and restaurants and retail shops at Mountaineer Square are serving to bring a familiar audience back to Crested Butte this summer. “We have at least 15 major groups on the books every month,” he says. 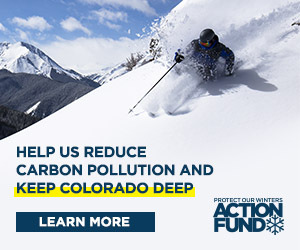 “We’re also getting a lot of Colorado (-based) associations… It’s nice to see,” Stone says of groups like Colorado Ski Country, a resort trade organization holding its annual conference at Mountaineer Square this June, and groups like Colorado Rural Electric, and Colorado Public Defenders holding their annual conferences in the fall. Stone says the Elevation Hotel will be closed throughout much of the summer to allow the ongoing renovation work to be completed. The building should be open for fall and winter, he says.